Friday 13th - Workshop meeting on Transport as we remembered it. 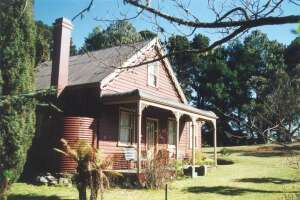 Thursday 19th - visit to Blue Mountains Historical Society, Wentworth Falls including Hobby's Reach Research Centre & the historic house museum "Tarella"
A long standing and well loved member of our Society, Nola Jamsek, was taken ill over Easter and has been admitted to Wollongong Hospital. She also broke her wrist and has had surgery. She will return to the Blue Mountains shortly. We wish her all the best for a speedy recovery. Friday 17th - general meeting. Note change of date as Good Friday falls on normal meeting day. John Low was the guest speaker. John spoke interestingly about his research into one branch of his family and of the success he achieved that was not without its share of problems. Monday 20th - Helen Mollenhauer of the Mid Mountains Historical Society led a tour to the historic sites of Lawson. Friday 8th - general meeting - workshop to introduce & plan suggested Special Interest Groups. It is proposed that England & Wales, Scotland, Ireland & Australia be the four areas to be considered. Special Interest Groups: The May workshop is to be devoted to a discussion of these and the needs of members, eg suitable venues i.e. coffee shops; clubs; private homes; ideas and brickwalls etc. Terry will explain the intention of the groups, and then we will divide into 4 groups. Each group will then produce a suggestion sheet for the committee to ponder. Our May Social Outing is a trip to State Records at Kingswood on Thursday 14th May 2009. We will travel to the Archives by car pool all meeting in the car park at Springwood Station at 9.30 am. There is a lot of information that can be sourced at the Archives if you have a convict, Tickets of Leave; Certificates of Freedom, Permission to Marry, etc. Their Immigration records are a wonderful thing if you find when your ancestors came into the country you can look up a film that gives you details on the family including their parents. You can discover if your ancestor became insolvent at some time and look up the file. Most informative of all are the Probates. These are only a few of the things that can be found at the Archives. To prepare yourself for your visit, if possible, you need to visit their website and do a key name search, this will bring up anything they may be holding on that name, scan through each item to see if it applies to your ancestor and either copy the page with the information or take a note of the reel, etc. Special Interest Groups: Following on from the May workshop Special Interest Groups, Terry reported great enthusiasm by each of the groups. Terry provided a summary of opinions as to the make up of these groups. The preferred venues for meetings were the Bowling Club or Guides Hall at Lawson; the Springwood library conference section or Braemar conference room; and the Springwood Neighbourhood Centre. Terry will be looking into the hire and use of these locations. These meetings will be held during the day, as no one was interested in meeting at night. It has been suggested that the group meeting times be staggered so that we all meet on the same day and at the same venue, this will enable members to attend as many groups as they prefer without having to go out on different days. Guest Speaker: The June speaker was Chris Gorman, who lived in the Antarctic for 12 months. Chris spoke to us about his time In Antartica and showed us his slides. Everyone enjoyed both his tlak and slides. This was a trip to the State/Mitchell Library, Macquarie Street, Sydney travelling by train from Springwood. Only 4 members of the Society vistied the two Libraries. Although few in number those who attended enjoyed the day both as to the social aspect and their research. The Society now has 100 financial members. *Special Interest Groups: The date and place for our special interest groups has now been arranged. The first get together will be on Wednesday, 5th August 2009 and the venue is the Lawson Bowling Club commencing at 10.15am. As you are aware we will be holding all groups on the one day. Participants are asked to donate a gold coin. Workshop - Ian Kendall will give a presentation/demonstration on using the Internet as a research tool for Family History. As well, the many short-comings and failings of the Internet and the resources to be found there will be discussed. On July 16 a group of 6 attended the guided tour of the Museum of Fire, considered the best of its type in Australia. Prior to the tour Don Graham presented a helmet that he had been given by the Fire Chief of North Greece, West Monroe County, New York. The guide, Alan, an experienced Winmalee RFS fire-fighter was able to give an overview of the Mountains brigades and provide an excellent commentary on the exhibits. The evolution of fire-fighting from early C19 to the present day was illustrated by 35 displayed appliances. Another 85 units are on site undergoing refurbishment. After lunch, Lorraine Stacker generously gave over two hours of her time to explain the organisation of the superb Local History Room at Penrith Library and displayed, among other items, early maps of the Hawkesbury Region and more recent maps illustrating the development of the area. Both sites were shown to be worthy destinations. The Library is of particular interest to those who have antecedents living in the area. This was the first of four meetings of the Special Interest Groups to be held at Lawson Bowling Club. There were between 25-30 members in attendance, England/Wales led the first group after which there was a break for morning tea. Following on from morning tea was the Irish group and then a break for lunch. Quite a few members ordered lunch from the Chinese Restaurant attached to the Club and enjoyed a reasonably priced meal for only $7.50. Everyone came together at 1.30pm for the Scottish group, the day finishing around 2.30pm. There was a lot of input from various members into each of the groups and those members new to the Society seemed to benefit from the day. One thing that came out of the meeting is a request that a tour of the Kingswood State Archives and its holdings, rather than a research day, be organised to give new members an idea of what can be found there. This will be organised in the not too distant future. 2009 Seminar: "Currency Lasses and Beyond - Women of Australia's Past". This was the Agenda for the Seminar with Joan doing the "Welcome", Ian talking about Currency Lasses; Suzanne talking about the Convicts on the ship "Elizabeth" and Joan's topic: London Immigration Committee's female immigration of the 1830s. Invited guests were Rachel Hollis Archivist Kingswood whose topic was "The sources available for researching the work and roles of women from early 19th century and beyond"; Helen Sider's topic "Immigration from late 19th century/early 20th century - the affects on women and how they assimilated"; John Elkusch, Past President Springwood RSL Sub-Branch, his topic was Women in the Armed Forces since Federation. 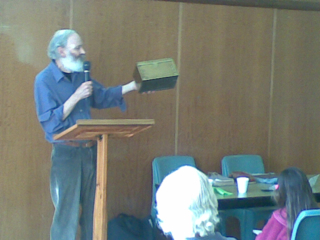 After lunch entertainment: Terry Regan, Bush Poet "Australian Bush Poetry". Seminar: Our annual Seminar was held last Saturday, 8th August, and what a wonderful day it turned out to be. The weather, though a little chilly in the shade, was perfect; there was a good attendance of about 50 people; the guest speakers were extremely interesting. Helen Sider the guest speaker on Immigration, won the hearts of all who were there with her simple philosophies on life; Rachel Hollis from Kingswood State Records gave a very informative talk as did Joe Elkusch with his comparisons of women in war, comparing women who were only allowed to carry out nursing duties in the Boer War to the Army career woman of today. Our own Joan, Ian and Suzanne were also excellent in their roles as presenters. The food on the day met with everyone's approval and the members who worked in the kitchen and behind the scenes did an excellent job. The Society thanks all the members who volunteered their services to help make the day the great success it was, including those members who gave donations towards the raffles and lucky door prizes and those members, though not attending the Seminar, who turned up on the day to help out. A big "thank you" is due to our Secretary, Jan Koperberg, who not only worked tirelessly throughout the months leading up to the Seminar but who also drove on Friday afternoon to the Northern Beaches to collect our elderly guest speaker, Helen Sider, and hosted her that evening. As you can see we had a very interesting programme. 10.00 am in the upstairs room, Civic Centre, Macquarie Rd Springwood. The Guest Speaker will be Mr Ken Black, who will be talking about Morse Code. All are welcome. Seven members of BMFHS participated in a very enjoyable and informative outing to Windsor on August 20. Don gave each participant a 16-page guidebook he'd prepared with photos and notes pertaining to the 45 sites visited. A guided tour of Greenway's St Matthews Anglican Church and burial ground was provided by two members of Hawkesbury Historical Society and was followed by morning tea. Highlights of the next phase of the tour included the tollhouse, Greenway's Windsor Courthouse, was the stop at Tebbutt's Observatory and family home overlooking land farmed since very early in European settlement. 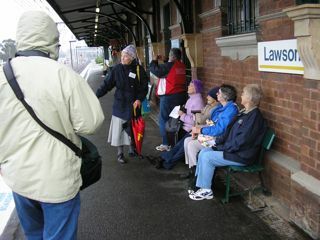 Following stops at the North Street houses, the site where Macquarie proclaimed the Five Macquarie Towns, a tour of Windsor Mall, lunch, and an inspection of Thompson Square, the group enjoyed a tour of the magnificent, thematic Hawkesbury Regional Museum before browsing the museum according to individual interests. The final sites viewed included 'Sunnybrae' and 'Fairfield House'. 10.00 am in the upstairs room, Civic Centre, Macquarie Rd Springwood. The Guest Speaker was Mr Ken Black, who talked about Morse Code, the development of telegraph lines across the world, the first undersea cable from England to France, the first international telegraph link between Australia and the world, the construction of the Telegraph line from Port Augusta to Darwin to connect to Java and the history of the telegraph in Australia along with some technical achievements. Les Edwards, who holds the Guiness record for the fastest telegraph message and also won the Channel 7 show-down between the telegraph and Morse Code and an SMS text on a mobile phone. Guess who won, and it wasn't the mobile phone! 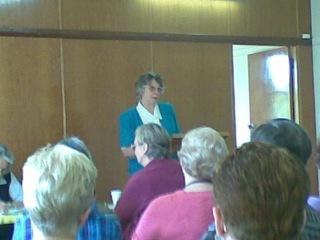 Friday 11th to Sunday 13th - Annual Conference of the NSW & ACT Federation of Family History Societies was held at Wyong. Joan (our President) and Jan (our Secretary) attended the Conference to represent BMFHS. They also took copies of all our Publications for sale on our Trading Table. This included copies of the new Mt York - Hartley Cemetery Transcriptions with photographs of the headstones, plus the first in the series of Workshop Books - Transport, also with members personal photographs of transport in NSW 1930-1950. Thursday 17th - Social Outing. This was a guided tour of Camden Historical Museum and Wollondilly Heritage Centre. Six members of BMFHS participated in a very enjoyable and informative outing to Camden on September 17 to visit the Camden Museum. As they arrived a little early for their visit to the Museum after being fortified with refreshments some members took a walk up to the St John's Anglican Church and then on to St John's Rectory which was built in 1850 from land granted by the Macarthurs before returning to the Museum. Once there the members were given a talk on the exhibits after which they wandered around the two floors. These exhibits held many artefacts donated by the descendants of families who had lived in the area for many years. There were exhibits on wine growing in the area, the Chinese community and their market gardens plus much more. Moving on from the Museum the group lunched in Bicentennial Park and then travelled on to Wollondilly Heritage Centre. Again they were given a talk on the Centre and previous exhibitions that had been held there. A work in progress is an exhibition on the children who were brought out to one of the Barnardo's Homes that had been built in that district. A lot of the material gathered for that exhibition will consist of photos and stories of the many inmates who eventually settled in the area. This exhibition opens in 2010. The Heritage Centre also has many interesting exhibits and has a special schoolroom of yesteryear set up with the old desks that contained inkwells, blackboard, slates, old School Magazines etc. The Heritage Museum and this room in particular is very popular with visiting schools, where children come and spend almost a whole day there. A visit to the Camden Museum and, if you want a dose of nostalgia, the Wollondilly Heritage Centre, are both highly recommended. The outing was a great success. Pauline H's photos have been added to our Photo Gallery. Special Interest Groups: About 13 members attended the October meeting of the Special Interest Groups with apologies from quite a few members. Those who did attend though found the topics covered, i.e. Shipping; Copyright and Convicts very helpful. The last meeting for the year is at Lawson Bowling Club on 4th November 2009. Andrew Tester from the Valley Heights Train Museum gave us a fascinating talk on train history in the Blue Mountains. Tour of State Records Kingswood: A tour of Kingswood State Records was held MONDAY, 12th OCTOBER 2009 commencing 10am. A small group of six members travelled from Springwood to the Kingswood Archives. Here they were met by John and then taken on a tour to see where the Stacks and the boxes where files were held. Smaller boxes are now generally used as to Health & Safety issues, having reduced the weight by half, and the boxes are kept intact much longer due to lighter handling. The unique air conditioning system that gets its coolness from using a form of a piped system into the ground was explained in detail. Old Colonial documents are kept in a concealed safe with its whereabouts secret from the public. Eventually everything will be digitalized and available in this form to the public. We were taken to an area where repairs were done to paper materials and Elizabeth demonstrated the process whereby they reinforced the destroyed parts with Japanese rice paper. For a fee Business and Doctors Files are also stored at the Archives for safekeeping, which can be called upon when required. The Society has been given a grant from the Blue Mountains City Council to introduce help with family research to those people living in the Blue Mountains. There will be four sessions the first to be held 12th October 2009 at the Warrimoo Community held, the next in Springwood, at the Neighbourhood Centre and the Blackheath Community Hall in early December. The final session will be held at the Lawson Bowling Club in February. Members of the Society will also be welcome to attend all or any of the sessions. November Annual General Meeting: Nomination forms for the AGM will go out in the October edition of The Explorers' Tree magazine. Nominations for committee membership are required days prior to the AGM. As some members on the current committee are thinking of standing down, this might be the time for members to consider whether they would like to become a committee member. Being on the committee involves attending a monthly meeting at someone's home on a rotating basis. After the Society's business has been attended to, these meetings usually become a social event with everyone taking a plate. Next Social Outing: Thursday 26 November to Wiseman's Ferry and it's environs, a total of 200km taking around 8 hours. Members to assemble at Springwood Railway Station by 8.15 for 8.30 departure. Can pick up on Hawkesbury Rd by prior arrangement with Don. 4751 2991. Members to bring morning and afternoon tea, lunch, plenty of water, own thermos of coffee/tea. Eskies available, but label your water bottles, etc. Don has put together a 25+ page booklet for a cost of $2.00. As there are only 2 cars going numbers are restricted to 9 members including the 2 drivers. Please indicate today whether you are interested in attending. Christmas Gathering - 11th December 2009: Brian and Nola Meagher have kindly offered their home for the Christmas gathering this year, as they have for the past two years, an offer that was gratefully accepted. Christmas Raffle: as in previous years, a Christmas Raffle will be held. Tickets will be on sale at the November meeting as well as at the Winmalee Shopping Centre (date to be confirmed). The prize, as usual, will will wonderous baskets of goodies donated by members (please send your donations to either Jan or Pauline). Prize will be drawn at the Christmas Gathering, 11th December 2009.